A recent email from MTM has lead us to very cool piece of news. 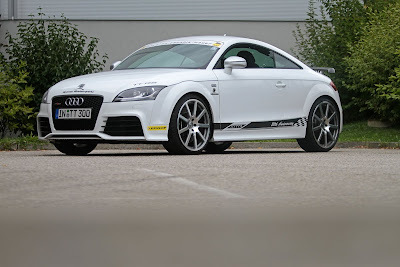 Reporting results from a test conducted in early September, MTM's 472 horsepower Audi TT RS has recorded an official top speed of 312 km/h (193.86 mph) at Italy's famed high-speed test track, the Nardò Ring. 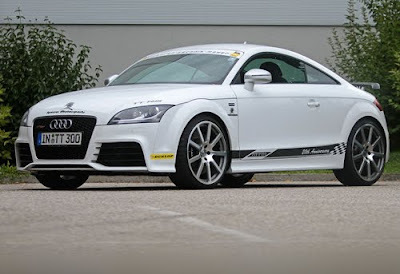 A significant milestone considering no competitor has been able to crack the 300 km/h barrier with even more powerful TT RS tuners. Roland Mayer, owner and Head of Technical Department at MTM commented; "It's not decisive what we measure on the dynamometer but how many bhp you get on the road." The bhp Mr. Mayer is talking about is thanks to an upgraded ECU, MTM turbo charger and a new MTM turbo-back exhaust system. All resulting in not only the 312 km/h top speed but also a 0-100 km/h (62 mph) time of just 3.9 seconds. 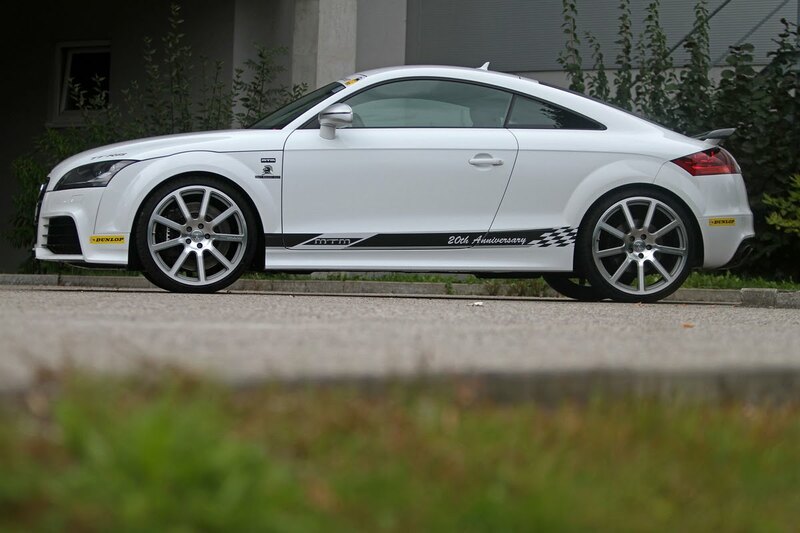 MTM's 472-hp Audi TT RS tuning package will set you back roughly €14.500 (incl. tax and installation) and another €9.973 for the 20" Bimoto forged wheels and 15-inch eight-piston brakes. And if your inner speed-freak calls for even more horses, MTM says the company is currently developing a 500+ bhp package that we can't wait to see.